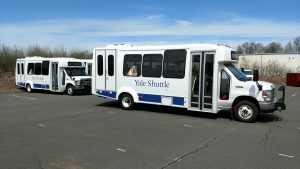 Yale University has taken delivery of seventeen Elkhart Coach paratransit buses. 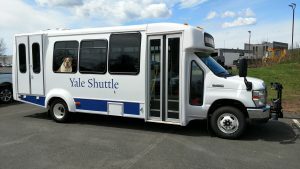 To conform to their environmental sustainability program, twelve buses are equipped with XL Hybrid power train upgrades and five have been converted to utilize propane gas. Yale University is a long term valued customer and we are proud to associate with this distinguished university.